The phenomenon of migration as a result of economic globalization and neoliberal policies is one of the most pressing and troubling issues of our world today. Despite all the vicissitudes and dangers, every year the number of people who decide to leave their homeland to launch a desperate search of better job opportunities in the neighboring country, on the one hand affects thousands of marginalized families who stay temporarily or permanently without their men while, on the other hand, paradoxically, it is the main source of foreign exchange earnings of our country. 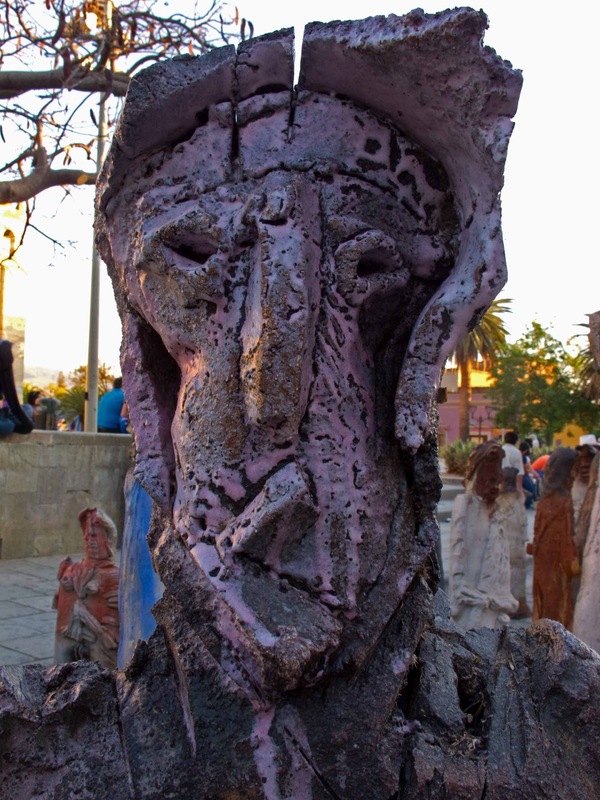 Alejandro Santiago is an outstanding artist who has lived in Oaxaca and seen firsthand the gradual disappearance of the mainly male population from their place of origin, Teococuilco, in the Sierra Norte. 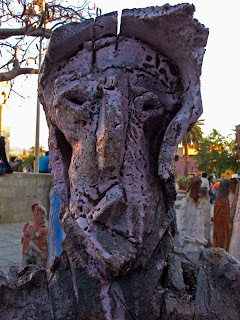 A migrant himself, he left with his family to the city of Oaxaca, where he was trained as an artist. Years later he lived in Europe and settled some time in Paris, where nostalgia for his native country was reflected in his painting, full of references to the Oaxacan culture. Back at home, the impact of finding his hometown nearly "empty" because of the large number of people who had gone to the other side, shook him so much that decided to delve into the issue of migration and raise their very personal protest in a song of solidarity through his artistic work. 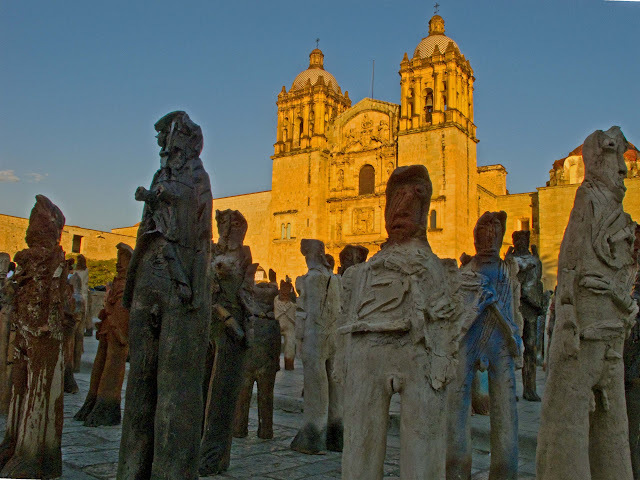 Thus was born three years ago the project called 2501 migrants, whose first phase is currently showing at the Museum of Contemporary Art of Oaxaca (MACO). 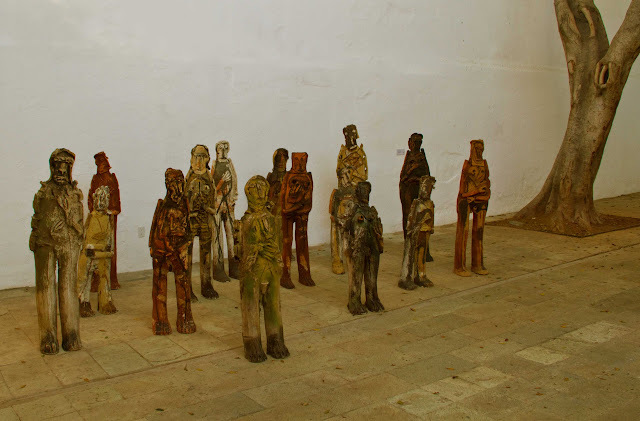 Migrant Project 2501 provides for the establishment of that number of clay sculptures representing the 2501 men who have migrated from Teococuilco while the social policy of our country does not perform the changes needed to combat extreme poverty and social inequality. To date, Alejandro Santiago has brought together over three hundred figures. They now stand along calle Macedonio Alcala near the Santo Domingo. Love this post - love his work - love vintage Alfas.